For my poetry class last semester, I had the privilege to be tutored under an awesomesauce professor, Divya Victor, whose book of poems titled ‘Natural Subjects’ was released last year (you can get a copy here). Her poetry class was one of the most trying classes I’ve ever taken with assignments piling in every week, but I enjoyed it thoroughly still because when she teaches she oozes so much passion it’s infectious. 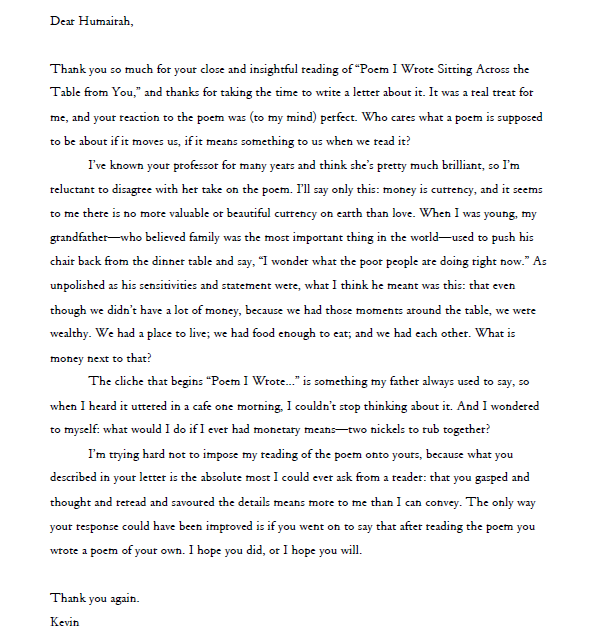 One of the weekly assignments we had was to ‘Write a response letter to one of the poets whose poem we have read in class’. She had promised that she would send the letter to the poet personally – provided he/she is not dead, yet – and get back to us with the poet’s personal reply. 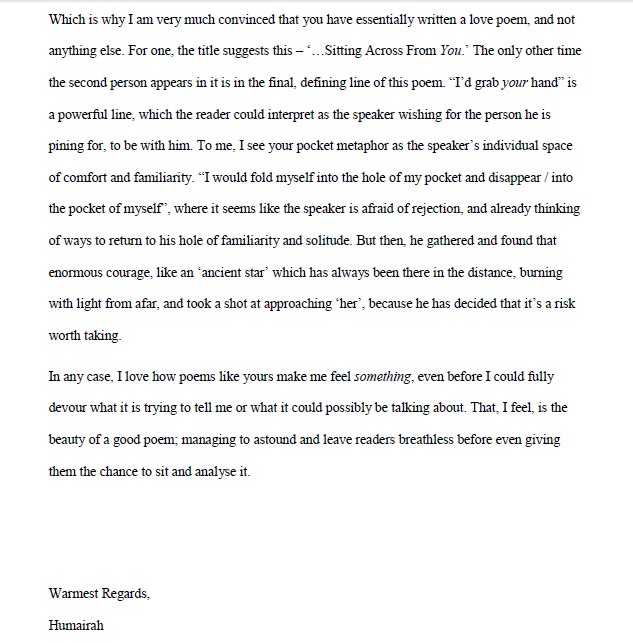 I didn’t think she’d be serious about it, I mean, I wasn’t expecting any replies when I was writing the response letter to the poet of my choice. 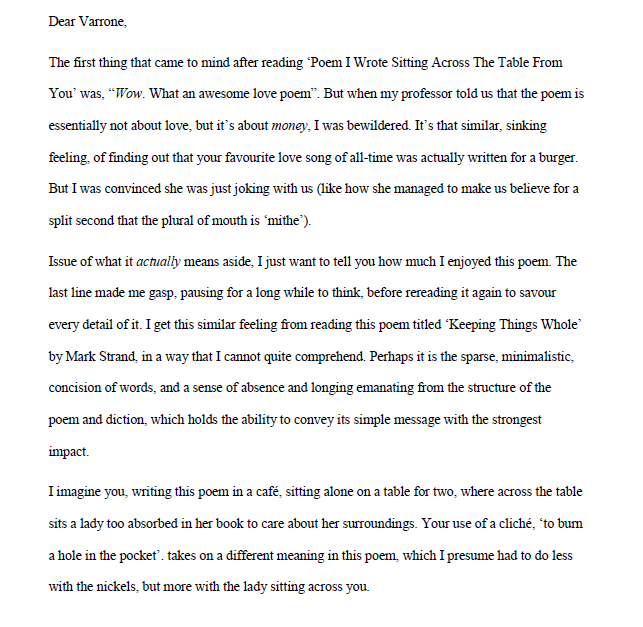 Besides, I just didn’t think my reply was worthy of being read by the poet himself. But as I was checking my inbox this morning, I received a pleasant surprise from Divya, who told me that Kevin Varrone himself replied my letter (!) To be honest, I’m too embarrassed to show what I’ve written, but one of my resolutions for the year is to not bother about what other people think, so, I’mma just do it.